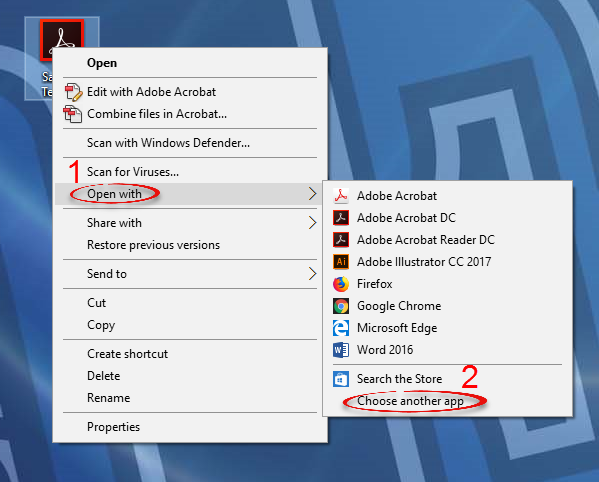 Sometimes the file you would like to open does not open in the correct program. Use these instructions to temporarily or permanently set a different program to open a file type. 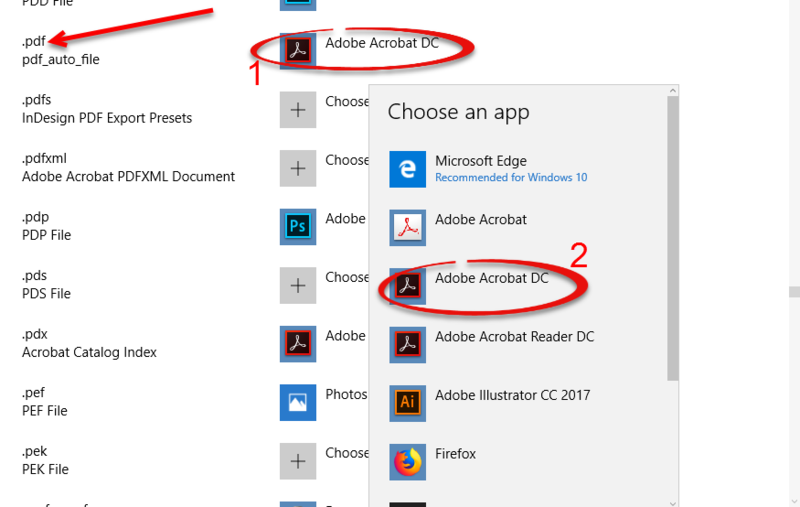 These instructions use Adobe Acrobat DC, but it works for any application. Step 1:Right click on the file you wish to open. For these instructions we will use a PDF file and Adobe Acrobat Pro. Then select Open with and select Choose another app. 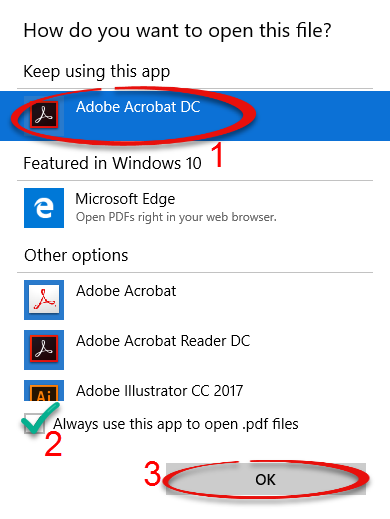 Step 2:Select Adobe Acrobat DC, check Always use this app to open .pdf files, and press OK. 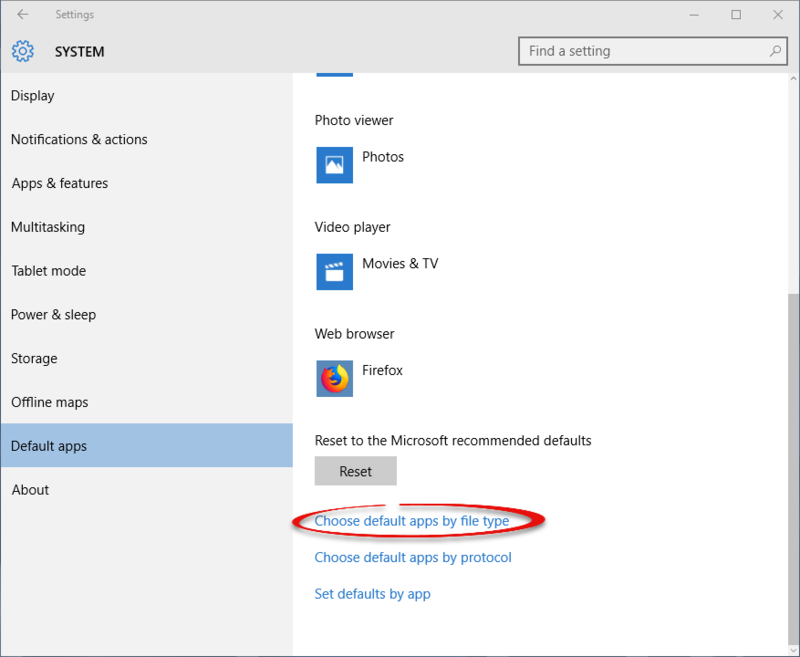 Step 1:Type "default programs" into the taskbar and click Default Programs. 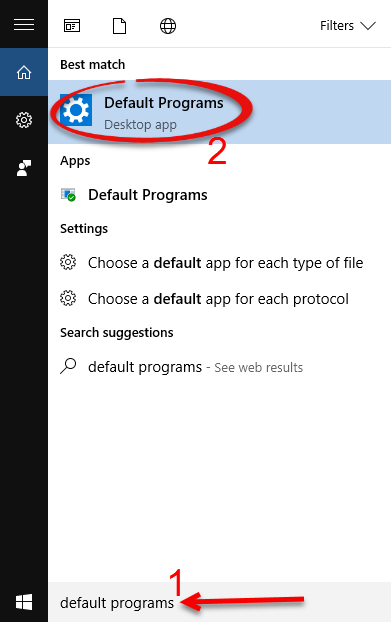 Step 2: Scroll down and click Choose default apps by file type. Step 3:Find the file type you wish to set up an association with. Again, we will use PDF and Adobe Acrobat.